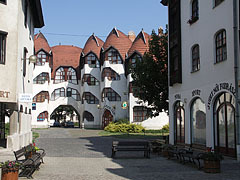 Sárospatak is the centre of the Zemplén area. With its unique historic and ecclesiastic past, together with vivid cultural life and events; it still deserves to be called the ‘Athens on the bank of River Bodrog’. 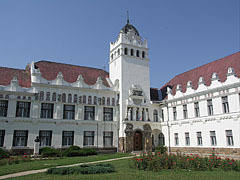 Its castle holds famous cultural events. The Calvinist College, almost five hundred years old, is still functioning. These are some of the most beautiful sights of North East Hungary which are really worth a visit. 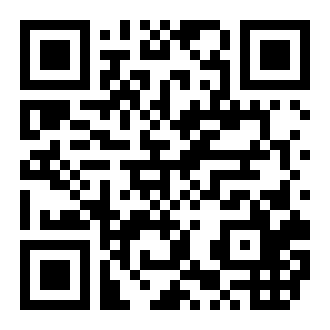 In the records of Anonymus we can read that the warrior Ketel built an earth castle here. The area was granted to him by Árpád, the person who led the Hungarians into the Carpathian-Basin. 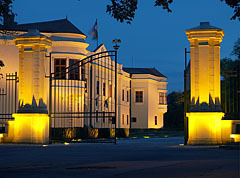 The settlement, serving as the centre of the royal forest estate, was the favourite place of the kings of the Árpád-dynasty as well. In the Middle Ages the settlement, which was granted city privileges by Imre I in 1201, became an important stopping place on the commercial way leading to Poland. The castle was built by Imre I on a part of the bank of Bodrog, which was strategically a proper place from a defensive point of view. 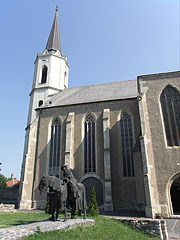 St Elizabeth, the daughter of Imre II, was born here in Sárospatak. She is the most famous and esteemed female saint of Hungary together with St Margaret. 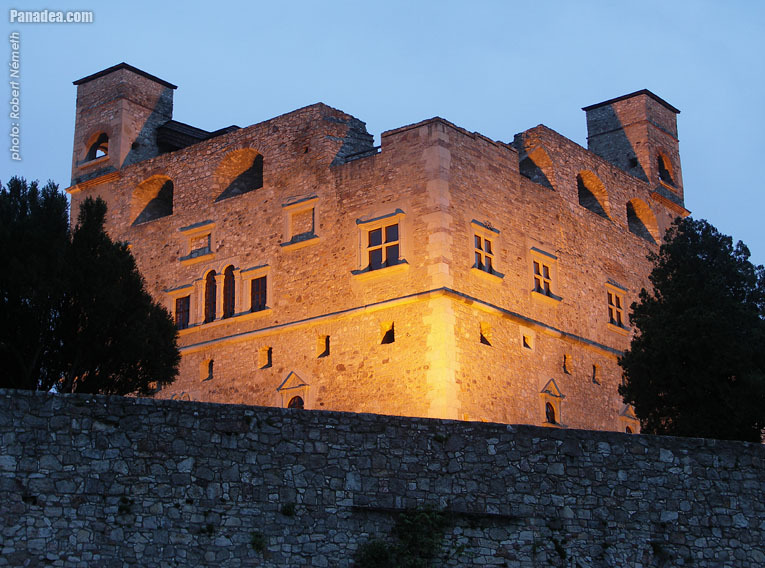 The castle was owned by several aristocratic families. 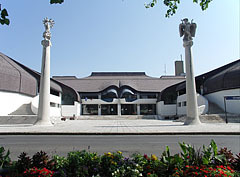 For example by the Dobó family, the most famous member of which was István Dobó, the hero of Eger. Bálint Balassi, the greatest figure of Hungarian literature of the 16th century, married Krisztina, István Dobó’s daughter The wedding was held in Sárospatak. The heyday of the castle fell in the time when it was the property of the Rákóczi family. The splendour of that time is shown by the Gothic and Renaissance features of the castle. It became the property of the Rákóczi family as the dowry of Zsuzsanna Lórántffy in 1616. The most exquisite part of the garden, the Lórántffy loggia, was built soon afterwards. The remarkable Sub-Rosa balcony room is a part of the exhibition of the Rákóczi castle. The room is famous for the fact that the preparatory discussions of the Wesselényi-plot took place under the rose (sub rosa) painted on the ceiling. Led by Ferenc Rákóczi II they were organizing the independence movement against the Habsburgs. This ceiling painting is the only intact piece of the Baroque wall paintings of the castle. The battles of the Rákóczi's freedom fight left their marks on the city. The city was either under the control of the anti-Habsburg insurrectionists (kurucok) or their rivals, the pro-Habsburgs (labancok). The last kuruc parliament was held here in 1708. 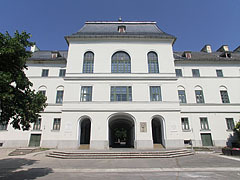 The Calvinist College, the most important Hungarian educational institution of that time, was established in 1531. Comenius, the Czech educator with modern mentality; taught here from 1650 for four years. There is a permanent exhibition to the memory of this great person. The high-quality education and the representation of a moral scale of values lasted for centuries long, when the school was closed with the arrival of communism. After the fall of the socialist regime in 1990, the education could start again in the Calvinist grammar school. In 1991 the Calvinist Theological College could resume teaching as well. Among the newly-built houses there are numerous examples for the work of Imre Makovecz, who is one of the greatest architects of our age. For instance: the Community Centre, the Árpád Vezér Grammar School or the blocks of flats on Hild Square. These buildings show that it is possible to design such stuctures which can blend with the sights and other places of interest of a city. The marvellous Bodrog River and its backwaters are not the only places to see. But you should also visit the tarn of Megyer Mountain, which was formed on the site of a former millstone mine. You can visit Longi Wood or even start walking to the castle of Füzér. If you would like to relax in a hot-water spa, then the best choice is the thermal spa of the Végardó part of the city.